Our Community Helped Provide a Local Student with a Scholarship. Your contributions helped provide an educational opportunity to a student in our service area! Meet the recipient of the Operation Round Up scholarship at The Foundation Of Brunswick Community College, Nick Bartolotta. Nick is a Leland resident who graduated from North Brunswick High School in 2015. 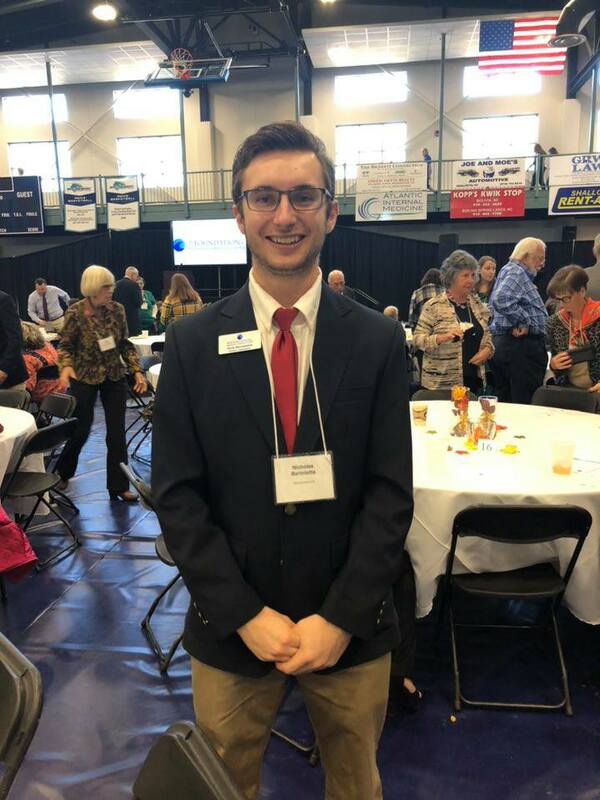 He is currently working at the Jersey Mike’s in Waterford, as well as volunteering as a student ambassador, and pursuing his Associate of Engineering Degree at Brunswick Community College. Thanks to our many wonderful Operation Round Up participants, this hard-working young man was able to receive a $1,000 scholarship to go towards his education. Neighbors helping neighbors. This community was built on a helping hand, and we look forward to being able to continue that today. That spirit of cooperation and dedication to raising everyone's quality of life is the inspiration behind our community improvement program - Operation Round Up. Your monthly contribution could be as little as a penny, or as much as 99 cents - but that small amount makes a huge difference in the lives that it touches. Now is your opportunity to make a meaningful difference with your tax deductible contribution! Find out more or join Operation Round Up here.